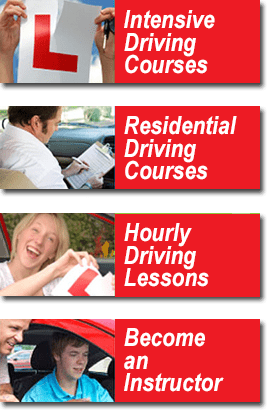 This course allows you to rapidly improve your driving ability without any pressure of a test at the end saving you weeks or even months of ‘weekly’ lessons. It also allows you to return later to finish off your driving with a short course and a test or to return to your home area if you prefer. Just look at all the advantages! Reduce the time it takes to learn to drive by at least a month for every day you do with us! No pressure to be ready for you test at the end of the course! Fine tune the number of hours needed to pass your test! Saving time and possibly money too! You can do a course when it suits you with no test to arrange you are free to choose when you want! Allows you to choose where you would prefer to take your test to give you the best chance of a pass! Make sure you are ready in time for your test! Simply book a course any time before your test is due! We can even help you with your theory and include a theory test for just £35 extra! We can also arrange great accommodation for only £45 per night!